There is so much wrong with that one paragraph I don’t even know where to start…. who determines what information is “critical” for the purpose of the Obama administration’s proposal? Who determines bias? Isn’t that percieved by what side of the political aisle you are on? Also, how dare them attempt to decide who is deserving and who is not? Participation in the Critical Information Needs study is voluntary–in theory. Unlike the opinion surveys that Americans see on a daily basis and either answer or not, as they wish, the FCC’s queries may be hard for the broadcasters to ignore. They would be out of business without an FCC license, which must be renewed every eight years. There is much more in the op-ed, go read it. For those that think this is just a proposal, the first feild test starts this spring in Columbia, SC. In the video below I go over this in more depth and Obama’s prior attempts at controlling the media in the video below. 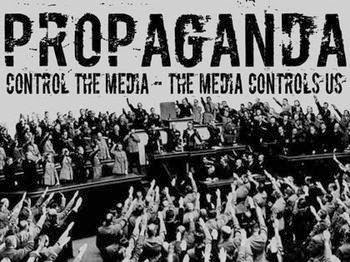 Alternative Media is the wave of the future folks, putting everything out there, trusting readers to decide for themselves what to pay heed to, research more, or even discard rather than the government controlling what is brought to their attention.